Between the skyscrapers of Shinjuku and the ultra-modern architectural wonders of Omotesando, it can be hard to find any trace of the traditional Japanese architecture that once dominated the landscape. 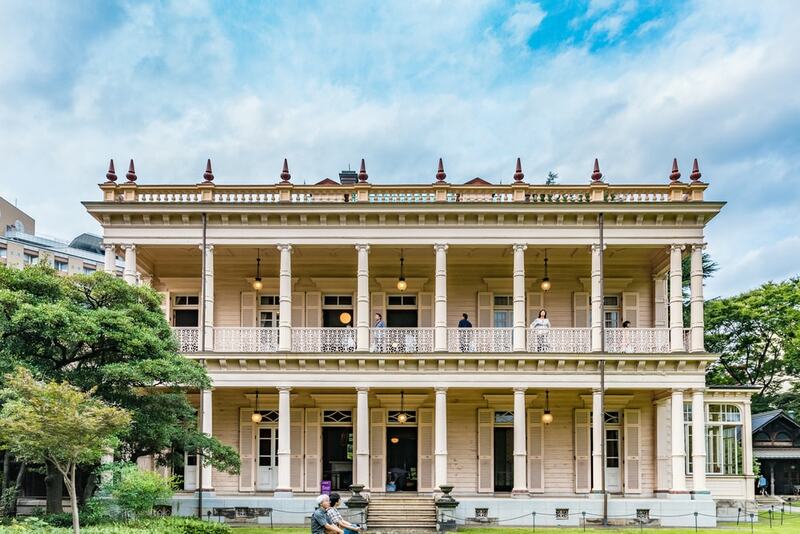 Explore some of these pockets of Tokyo’s architectural history, from centuries-old teahouses to antique Japanese homes. The Edo Tokyo Open Air Architectural Museum is located in western Tokyo. This impressive museum allows visitors to stroll back in time and visit Tokyo’s historic buildings. Most are to scale recreations of structures from the Meiji Period (1868-1912), but some are even older. Admission to the museum is just 400 yen (US$3.50). Open 9:30 am to 5:30 pm, closed on Mondays and holidays. 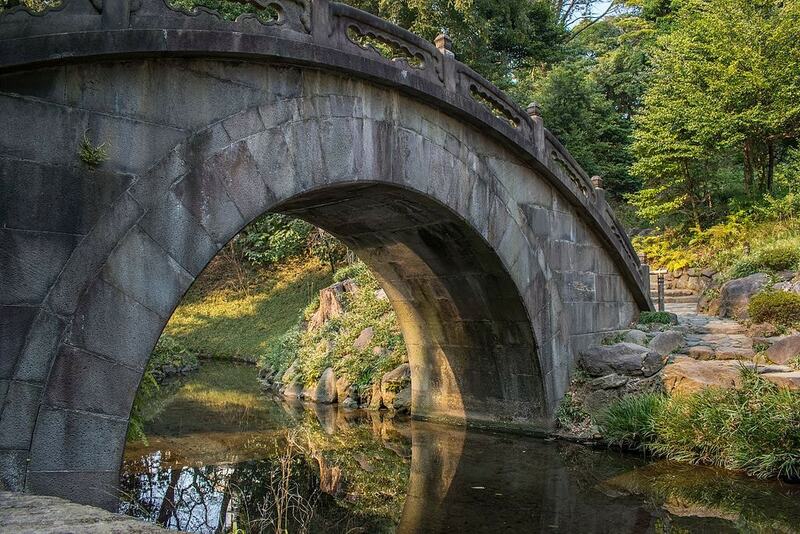 Koishikawa Koraku-en is a large garden designed and built during the Edo Period by a member of the Tokugawa family. Many of the structures of this traditional Japanese garden are originals which have survived through the ages, including the Full Moon Bridge. 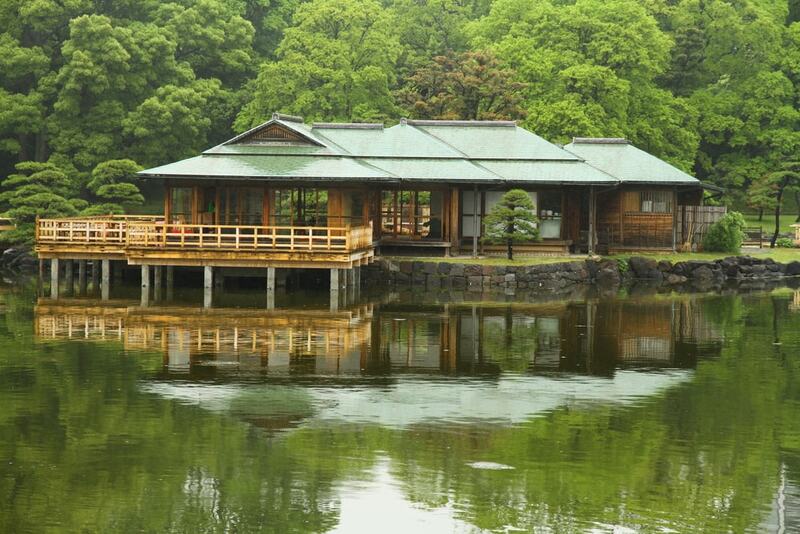 After exploring the grounds, make your way to Kantoku-tei, a modest teahouse built in the traditional Japanese fashion. 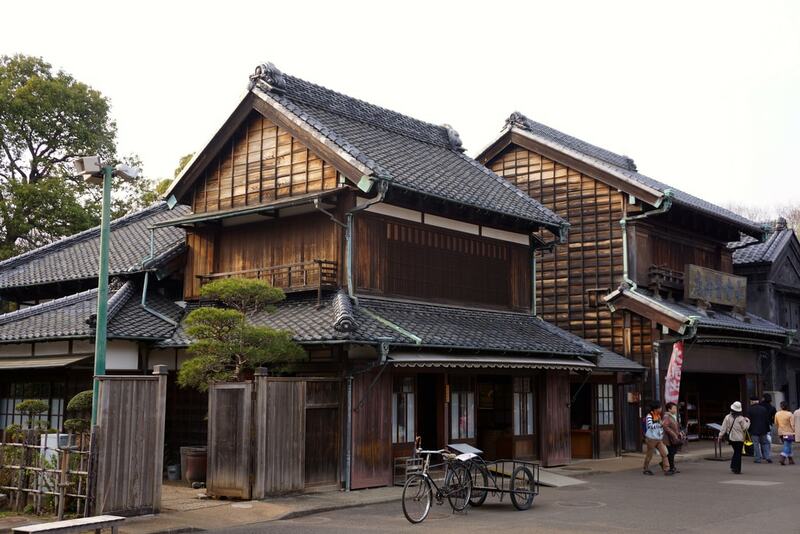 Nicknamed “Little Edo,” or Koedo, Kawagoe is a small city in Saitama prefecture, not far from central Tokyo. 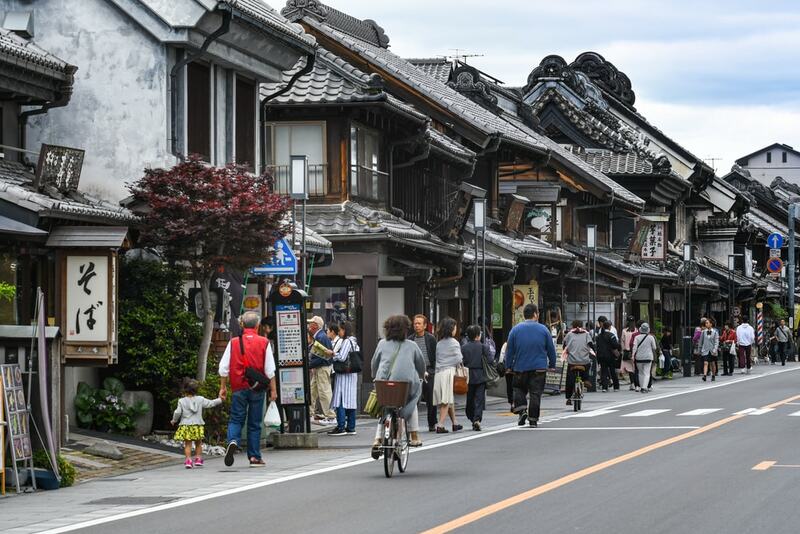 Kawagoe is filled with charming, old-fashioned streets and well-preserved old warehouses dating back to the Edo Period which have been converted into shops, cafés, and restaurants. The city’s beloved bell tower stands guard in the middle of it all, and is a faithful recreation of the original tower from the early 1600s. Kosoan is quickly becoming one of the must-see spots on any Tokyo traveler’s list. 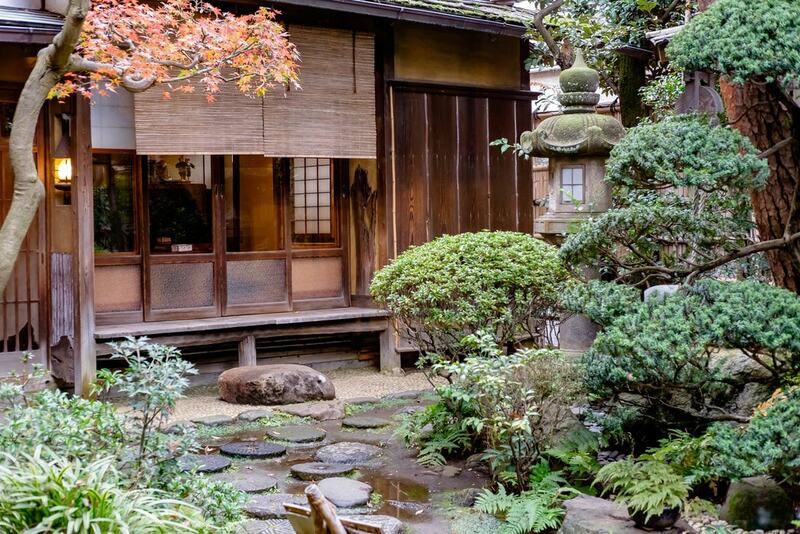 This tearoom in Jiyugaoka is built inside an old Japanese home and includes its own private courtyard garden. To add to the nostalgic atmosphere, the owners decorate the interior with Japanese antiques and ensure traditional-style low tables and cushioned seating. Kyu-iwasaki-tei, or Old Iwasaki House, is a public park containing three impressive examples of traditional and historic architecture. The main house is a western-style residence that combines influences of English, American, and Islamic architecture. The smaller billiards house is designed in the Gothic style. Finally, there’s the Japanese-style home, of which only a portion remains. The structures were built around the turn of the twentieth century and are designated Important Cultural Properties by the Japanese government. The Nezu Museum is a museum in Aoyama with a focus on East Asian history, culture, and art. Besides the beautiful collection displayed indoors, the museum boasts a large garden complete with four beautiful teahouses. Each teahouse is unique and designed with traditional Japanese architectural features in mind. Hamarikyu Gardens, located in central Tokyo’s Chuo Ward, is one of the city’s most visited public gardens. 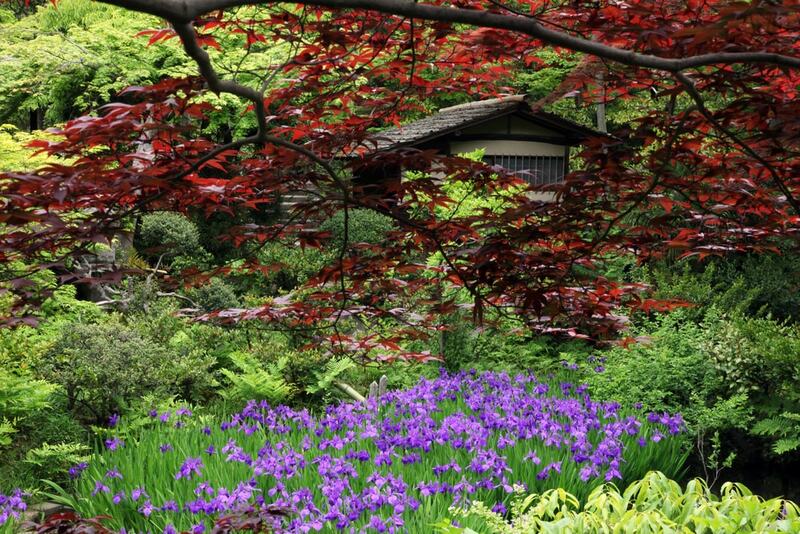 It’s a traditional Japanese strolling garden and a delight to visit in any season. In the heart of the park, jutting over the pond, is Nakajima no Ochaya, a 300-year-old teahouse where the city’s annual Grand Tea Ceremony is held.